A huge congratulations to our wonderful customer Belinda Rowlings from Graceville, who scored herself $2,000 in the B&D Subaru Outback Promotion. 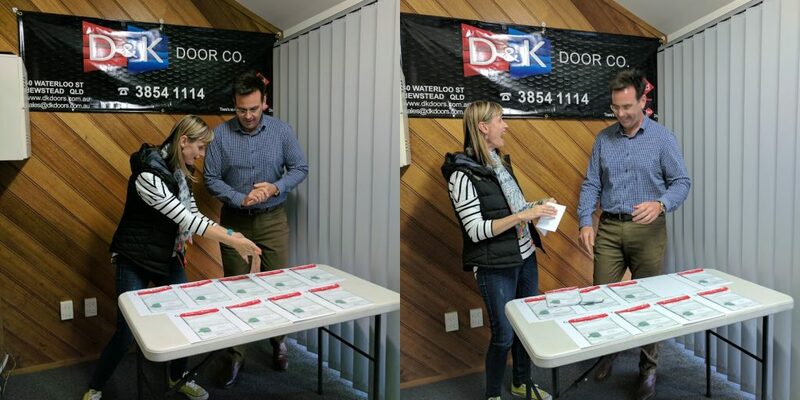 Our supplier B&D held a competition for customers who purchased a garage door from an accredited B&D dealer to get the chance to win a Subaru car or other giveaways. A winner from each state was randomly selected out of the 100 accredited dealers nationwide, with our wonderful customer Belinda Rowlings as the Queensland winner. Belinda was very pleased with her experience with D&K Doors, stating “D&K hands down, I wouldn’t go with anyone else”. On Wednesday the 26th of July, Belinda came to our office to play for the chance to win a MY17 Subaru Outback 2.5i with automatic transmission (valued at up to $36,240). Belinda was faced with the challenge of choosing the 3 envelopes that held the car out of the 9 in front of her, which also contained other fantastic giveaways. Belinda picked envelope 4, and walked away with a whopping $2,000! The next competition is a cash-back offer and will run until mid-September, with Belinda a keen prospective winner. “I’m going to have a house full of garage doors, just so I can enter all of the competitions.” – Belinda Rowlings. 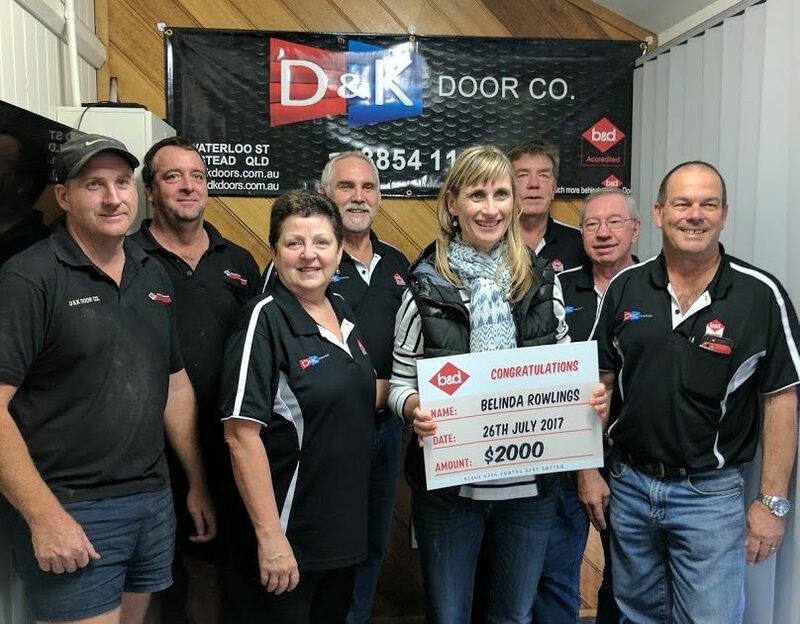 D&K Doors are pleased to be Belinda’s garage door provider, and hope you too can put your complete trust in our garage doors and repair and maintenance professionals. “I am very happy with the garage door and the service provided by D&K Doors. They came out in the rain to the other side of town, no problem.” – Belinda Rowlings. Contact us today for more information on how we can help you with all your garage door needs. How to choose the right garage door? Should You Get a Manual or Automatic Garage Door?